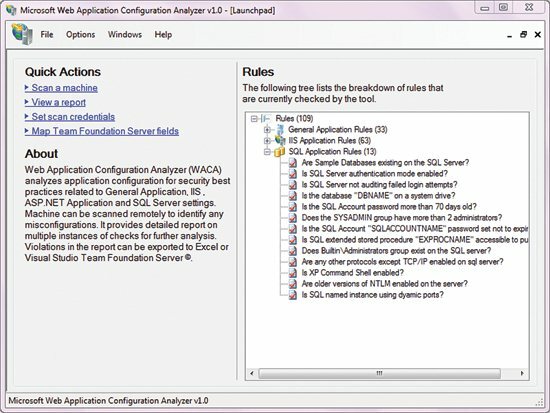 server configuration for security best practices related to General Windows, IIS , ASP.NET and SQL Server settings. 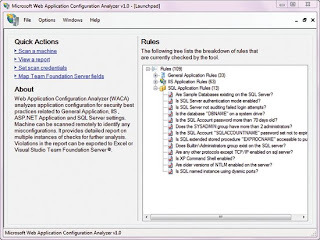 Web Application Configuration Analyzer (WACA) is a tool that scans a server against a set of best practices recommended for pre-production and production servers. The list of best practices is derived from the Microsoft Information Security & Risk Management Deployment Review Standards used internally at Microsoft to harden production and pre-production environments for line of business applications. The Deployment Review standards themselves were derived from content released by Microsoft Patterns & Practices, in particular: Improving Web Application Security: Threats and Countermeasures . Suppressions – you can now suppress any rule you feel is not appropriate for your scan. Saving of suppression files – once you set up a suppression list you want to use you can save it off for future uses. 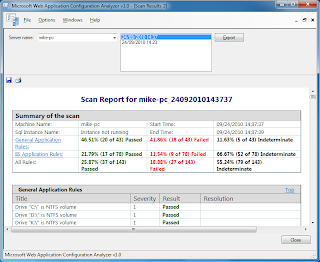 You can change the suppressions and regenerate the report without needing to re-run the scan. Reporting – Updated the reporting section to include suppression information so you know what passed, failed, was not applicable and what was suppressed. 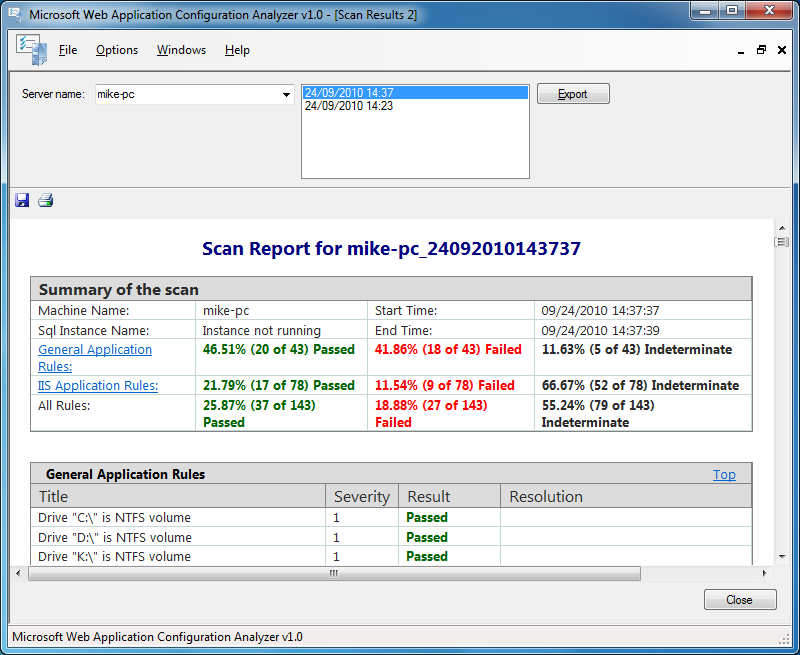 Multiple reports – you can view multiple scans of the same machine or view a single machine’s scan and compare it to other machines. Export to the Microsoft RED format. Scan multiple systems and SQL instances in one bulk scan. Additional rules – we’ve added in additional SQL rules. And of course bug fixes that were missed in the last release.